I was quite excited that the folks who create the Yankee Challenges decided to give me another chance cooking with a sneaky whole chicken. I studied for my Chicken and Dumpling Challenge by reading lots of good ole Southern recipes on what ingredients make the best Chicken and Dumplings. Then I had to wait for a free moment to attempt the Chicken and Dumplings. My chance did not come until the second to last day of the month, but boy was it worth the wait! I invited my good friend, Becky, (who is also a teacher) to come over and watch me work some magic in the kitchen. My research told me I needed a whole chicken, water, onions, carrots, celery, flour, baking powder, and milk. It seems those are the most important ingredients for CnDs. Then I tossed in bay leaves and parsley to the chicken pot, some cayenne and garlic powder to the dough batter, and nixed anything fattening from my meal. I boiled my chicken for 45 minutes in a big pot with water, half an onion, and 2 bay leaves. Then I removed my poor chicken friend and let him sit in another big pot until he cooled. (Side note: I think I have some issues with cooking a whole chicken – with its wings and legs still in tact, I felt like it was going to start dancing around every time I touched it.) 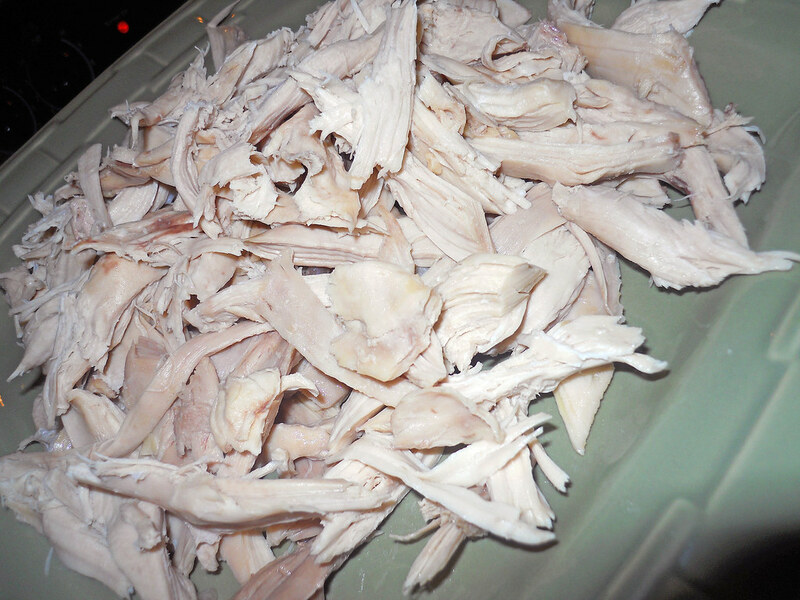 Once my chicken was cooled, I began separating the juicy meat from the bones and skin. For a small chicken, there was a TON of meat! After the broth sat on a cold burner for 45 minutes, I skimmed off some of the fat that was sitting on the top of the water using a slotted spoon. I turned the heat onto medium, and added diced carrots, celery, and onion to the chicken broth. I tossed in another bay leaf. Then I slowly poured in my chicken pieces. In a mixing bowl, I combined 2 c flour, 2 tsp baking powder, 1 tsp cayenne pepper, 1 tsp garlic salt, and 1 c milk. Using a spoon, I mixed the mess to form a dough. Then, instead of rolling the dough out and cutting it into strips (as I had seen in some recipes), I grabbed a handful of dough and rolled it between my hands to form a log. I pinched off pieces about the length of my thumb and dropped them into the pot. I repeated this process until the dough was gone. I mixed my chicken and dumplings using a large wooden spoon and cooked it until my dumplings tasted like perfect little balls of cooked dough. 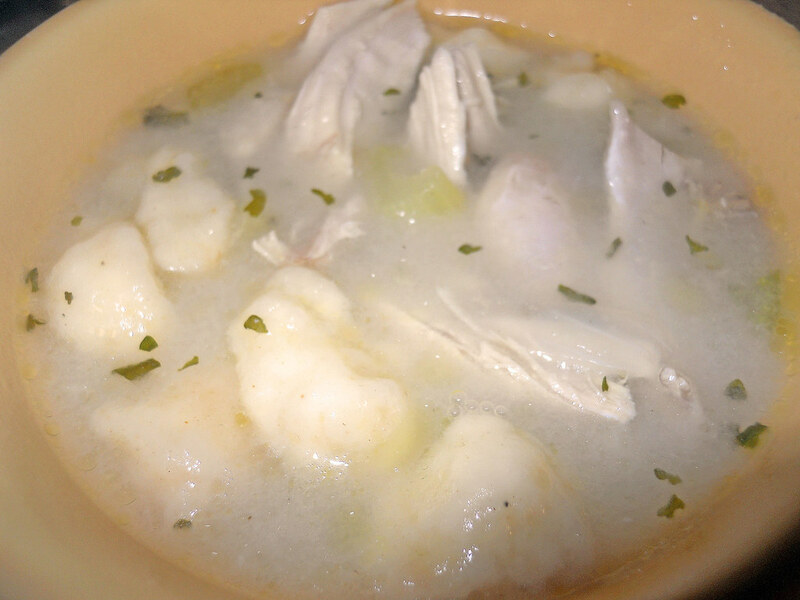 Some recipes use large amounts of flour and melted chicken fat to make a thick batch of chicken and dumpling, and other recipes use cans of condensed soups. My friend, Becky, and I are very health conscious, so I tried to keep my chicken and dumplings light. My broth was perfect – a little thick from the dough-y spicy dumplings, and it tasted like celery, onions, and carrots. Becky and I each had two bowls of steaming Chicken n Dumplings alongside a glass of Chianti on a very rainy windy Thursday night. It was the perfect dinner and a meal I am going to be recreating all throughout this Fall and Winter! I’ve never had it with fat dumplings. The local version is the really flat type. There’s even a little shop that makes them and you can find them frozen in the stores in the area. The fat, fluffy dumplings are the best. This is how my mama made ’em! I love them, and when I fix this dish at my house, it doesn’t make it to a second meal. When my Texan grandmother first made chicken and dumplings my little brother declared it to be his favorite food. I think my grandmother was honored but also a but disappointed that he’d chosen such a labor intensive dish as his favorite! Your chicken and dumplings look delicious! Ok–I have to say I appreciate your efforts to make a traditional southern dish lighter and healthier, but among my food obsessed and very southern family, dumplings were a labor intensive but simply seasoned, rich dish–the dumplings were a thin pastry-like concoction made from flour, butter and (sweet) milk. Essentially, they are biscuits. 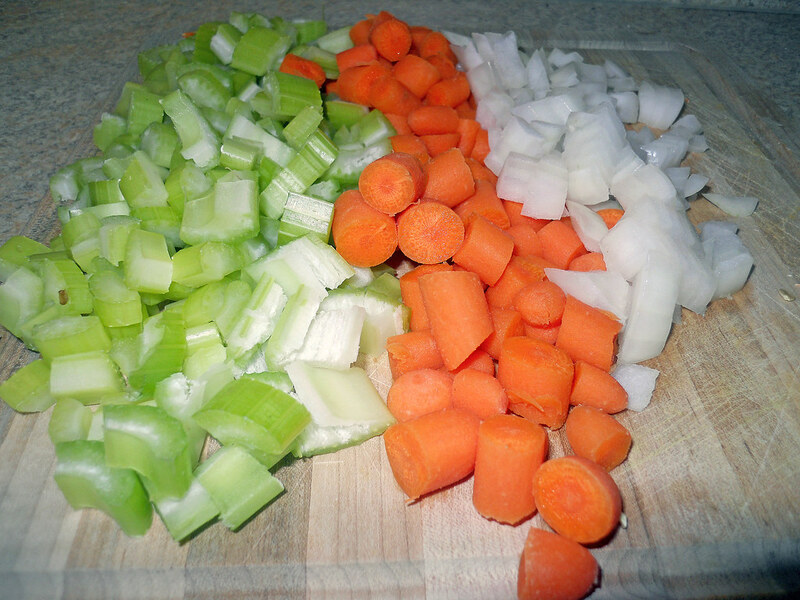 The recipe that we use was the one our grandmother and her sisters used, and they did not use carrots, celery and onions (only seasoned with plenty of salt and pepper), although I think it would be delicious, and sometimes I use these ingredients when making the stock for the dish. 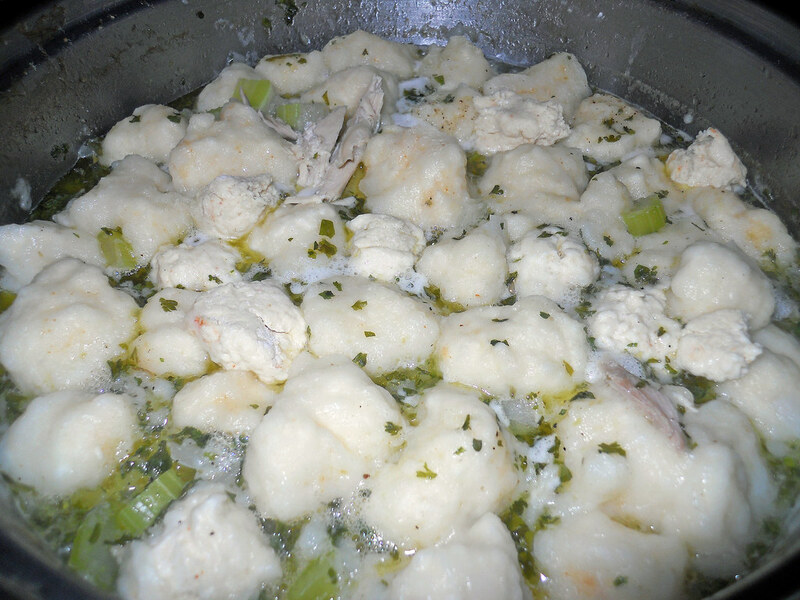 When the chicken and the dumplings were done, we always put the “stew” of chicken and dumplings in a casserole dish, placed a few strips of reserved dumpling dough across the top of the whole, and browned those “biscuits” in the oven. This adds some great texture and interest to an otherwise very humble dish. It is rich and delicious. Enjoying exploring the Hungry Southerner. I am one:) Thanks.